The trend analysis tool is designed to help track trends in business performance over time. It enables the comparison of any financial KPI, custom KPI or line item from the financial statements. 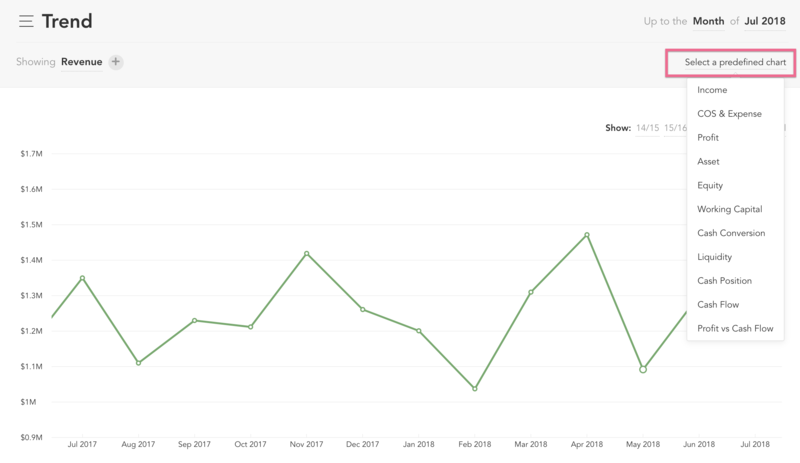 You can add up to five series to your chart, by clicking the '+' symbol and either using the search function, or selecting them from the variable selector. You are able to show comparatives for any metric. 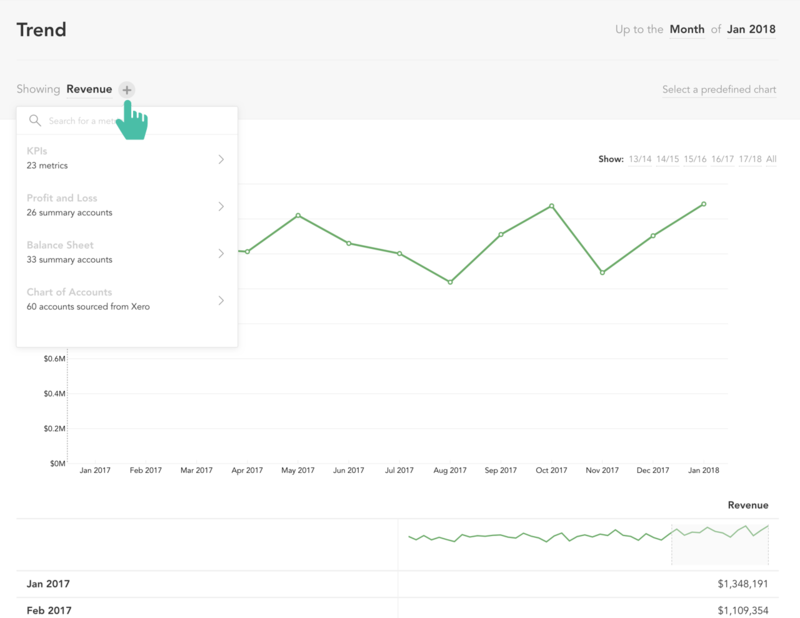 You can quickly view key trends by selecting a predefined chart. This option is available in the top right corner. At the top of the tool you can use the period selector to choose which month you show results up to. You can also choose to show a specific financial year, or trends across all time. Dragging the mouse cursor over the chart area will move through the available timeline. Scrolling within the chart will expand or constrain the date range that is shown. Hovering the mouse cursor over a data point will highlight this result in the results table (and vice-versa).